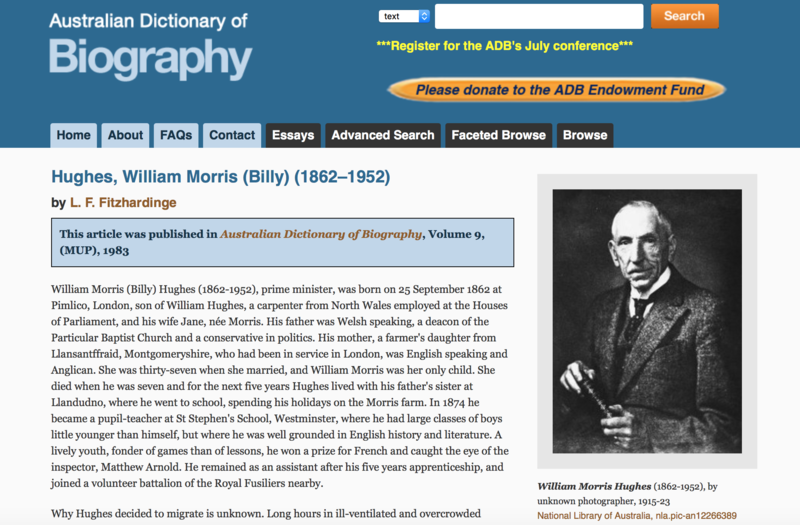 The Australian Dictionary of Biography is Australia's pre-eminent dictionary of national biography. In it you will find concise, information and fascinating descriptions of the lives of significant and representative persons in Australian history. The ADB is produced by the National Centre of Biography at the Australian National University and is available both as hardcopy publication and online.